Phang Nga is all about the water and the many amazing places you can visit from there in your inflatable kayak or by tour boat. You have easy access to James Bond Island made world famous when used prominently in “The Man With The Golden Gun.” After touring James Bond Island you must visit Koh Panyee which is an amazing little village with massive green covered rocks going right to the sea. This village is built entirely on supported stilts that rest just above the sea and while you’re here you can buy souvenirs at the shop or dine in one of the large restaurants. This elegant, stylish villa is located in a private residential community in Cape Yamu. Also popular is cruising the bay, taking in the limestone cliffs and visiting the many hongs or rooms the lie inside the islands. 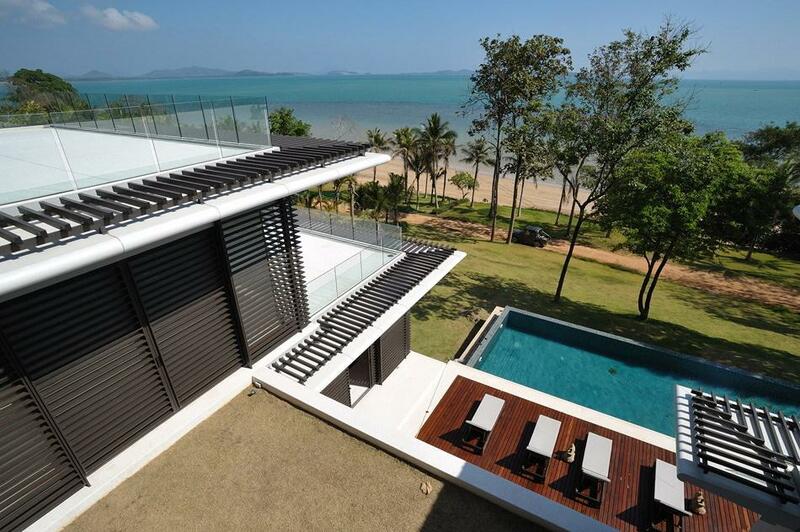 Villa Getaways Villa on Cape Yamu, #4222 is another of Phuket’s high end luxury villa developments and offers exceptional views over to Phang Nga, providing an excellent Phuket base and take off place for visits to the islands not far away.